Searching for Python developers for hire? Look no further than Concetto Labs, an IT company based in India, that takes pride in hiring only the best and most experienced developers who can help you use Python for whatever your business needs are. What can you expect from us as far as python development goes? Whether you’re looking at web app development, big data analytics or machine learning algorithms you need to know how our python programmers for hire can help you. 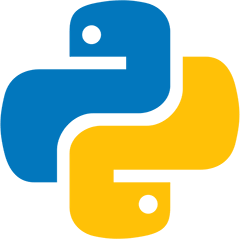 A programming language created in the 1980s, Python is a language for general purposes and is very much like the English language when it comes to readability. Its strict set of rules called PEP8 help programmers know exactly how they need to format their code. Since the language has been around for such a long time, there are plenty of libraries that you can download so that your software can use the language. At Concetto Labs, we constantly strive to give you exactly what you need. If you need to hire Python developers, you’ve come to the right place. Our programmers are pundits at this language and the various uses it can be put to. Whether your business is a start-up trying to establish a presence on the web or an established business looking to get the most out of your big data analytics, our programmers can give you what you need. When you hire Python developers in India from us, you aren’t just getting teams that are whizzes in this field. 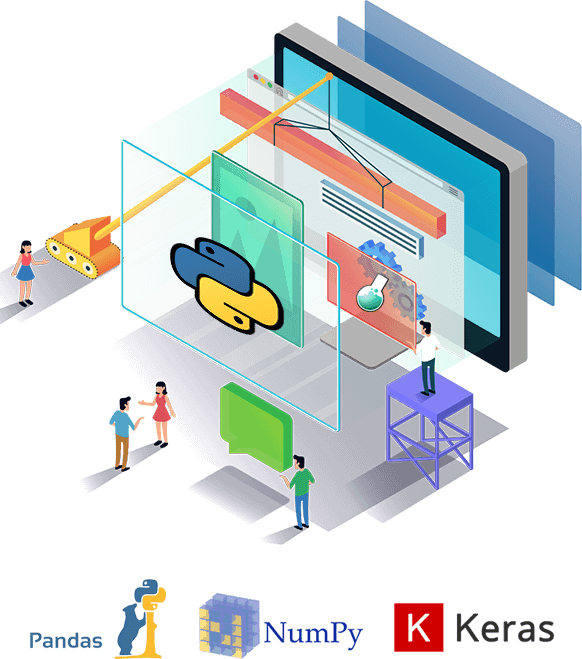 You are also getting people who ensure that they are au courant with the latest developments in the field and can use this knowledge to offer ingenious solutions to all your Python-based needs. Our python developers expertise in deploying best python application development beyond your expectations at affordable rates. Hire them today! to transfer the benefits of readymade structures, and lower costs to our clients. Probably the most popular Python framework, Django's speed, scalability, and versatility without compromising security makes it ideal for a host of Python projects. Often in the other corner in the ring from Django, Flask shares simplycity & flexibility as key attributes but also gives a far finelygrained control on development. Preffered for its steller asynchronous features, Tornado is a robust frameworks often chosen to develop high performance Python apps that need to support thousands of concurrent users. A favourite "microframework" for building APIs, Bottle packs a punch way above its weight for the flexibility and versatility it provides. Our apt Python software engineers make quick, powerful and exceedingly profitable python programming over various application areas from GUIs and web, desktop development to database get to and corporate systems administration. Get your product developed with a group of Highly Experienced Python Team of Architects and Developer. Quicken Success with Proven Practices for Managing Software Delivery with us along with transparency in communication. Convey the correct User Experience with Contemporary and Immersive Software Solutions. Save the best through Cost-Effective Global Delivery Model without compromising with the features required in the solution. Q. How is Python programming language different from others? As a matter of first importance, the syntax of Python is as straightforward as it can get when contrasted with different dialects. Another bewildering highlight of Python is that it's broad library support and nearness of a tremendous number of outsider modules. Q. What are the pluses of the website developed using Python? 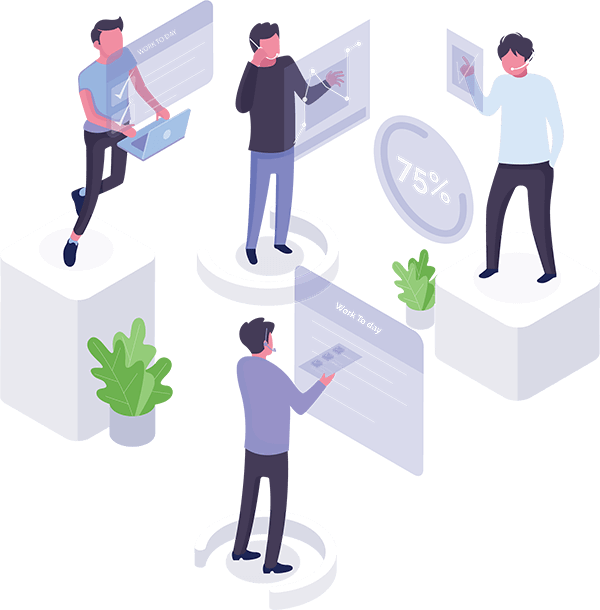 On account of the improvement of online business sites adaptability, ease in utilizing the website and will help in making a powerful site inside a limited ability to focus time. Q. Why is Machine learning interrelated to python development services? Python's steady syntax and the way it impersonates English dialect make it a favoured dialect to manufacture machine learning calculations among Peerbits' engineers. Q. Do python leads beneficial for Search Engine Optimization? Systems of Python helps in making comprehensible URL's which can utilize most positioned watchwords with the goal that natural pursuits in web search tools will support your site more. Q. How to Hire your Python Development? • Dedicated Developer (Monthly premise) – 160 Hours/Month. • 8 hours per day, 5 days a week. • Hourly Basis – Hours/Month. After the resource hiring, each of the phases is taken care with appropriate precision.